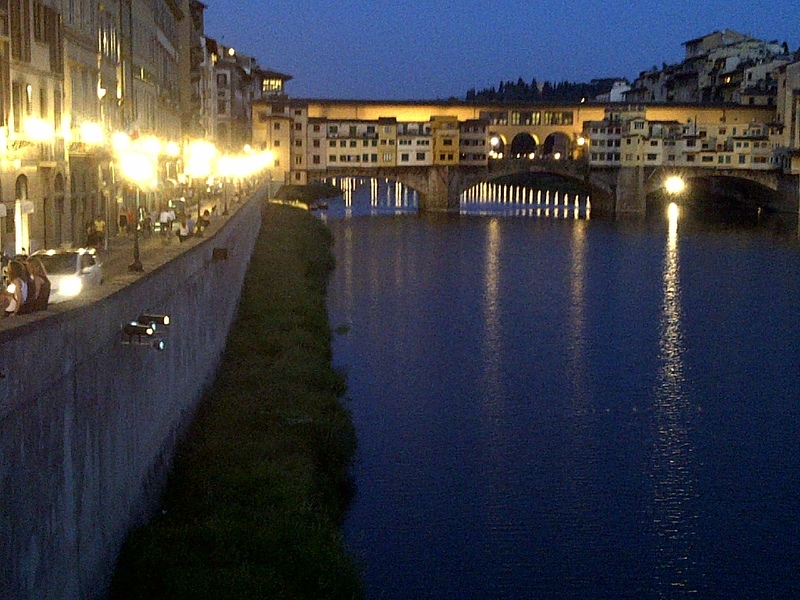 The Arno River and Ponte Vecchio at sundown. Florence, Italy. June 19, 2013. Just before the beginning of the TUSCANY tour.